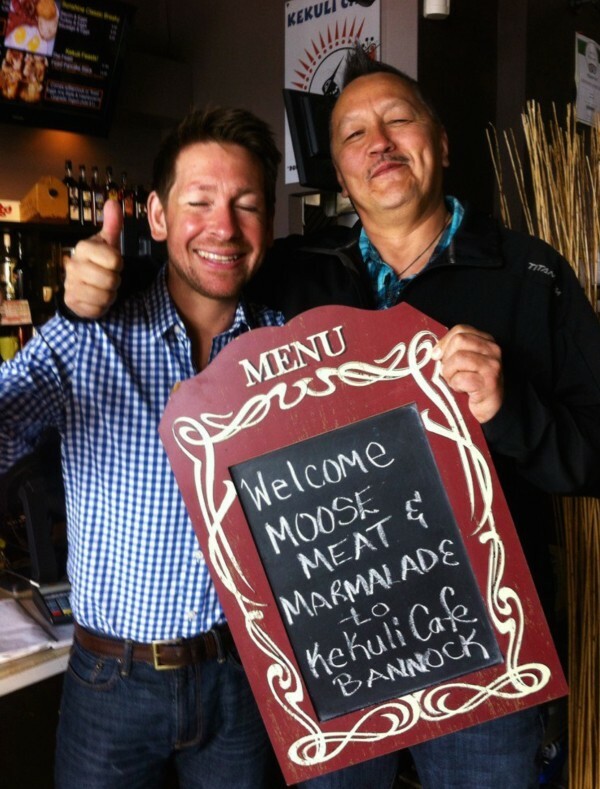 Filming an episode of the show, Moose Meat & Marmalade, with Art Napoleon and the London Chef, Dan Hayes, at Kekuli Cafe Westbank. This will be a fantastic episode of their wild elk hunt and foraging of delicious wild asparagus and morel mushrooms. Check out Season 2, Episode 10 for this amazing episode with these 2 great guys! 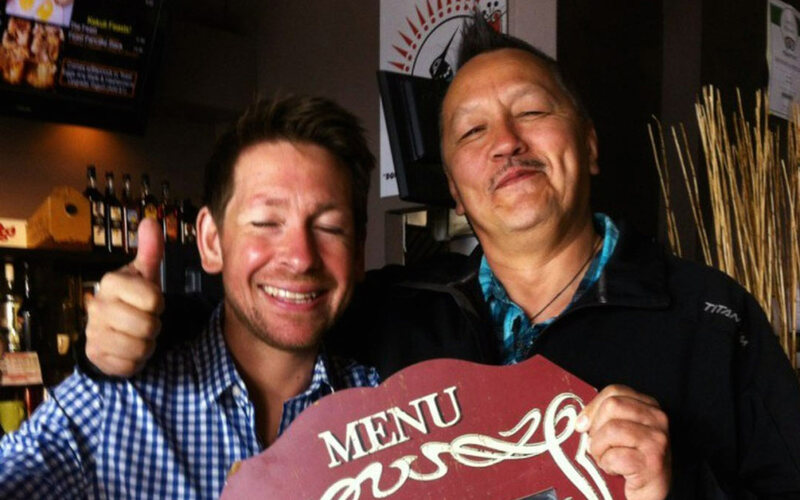 Art and Dan, went hunting with Jacob and Charles Kruger of the Penticton Indian Band. Little did I know, how to clean a mushroom. Art showed me the magic of cleaning a mushroom, seems easy and looked like a nice mushroom. So, I cut one up myself, at home…sliced it right down the middle and it falls open slightly and out crawls a creepy bug! UGH! Ya I don’t think I will be foraging any wild mushrooms, thanks! But they sure were tasty with Wild Elk Steak & Asparagus. Since moving back to my hometown of Merritt BC, I’ve had the fun of picking wild asparagus and other great traditional plants that our ancestors survived off, hundreds of years ago and even today they still harvest their medicines and plants. So if you want to learn more about traditional foods in North America, watch MooseMeat & Marmalade and their wild foraging in the Okanagan! Shall be a great episode for sure!